The evolution of techniques and knowledge of beating heart surgery has led anesthesia toward the development of new procedures and innovations to promote patient safety and ensure high standards of care. Off-pump coronary artery bypass (OPCAB) surgery has shown to have some advantages compared to on-pump cardiac surgery, particularly the reduction of postoperative complications including systemic inflammation, myocardial injury, and cerebral injury. Minimally invasive surgery for single vessel OPCAB through a limited thoracotomy incision can offer the advantage of further reduction of complications. The anesthesiologist has to deal with different issues, including hemodynamic instability and myocardial ischemia during aorto-coronary bypass grafting. The anesthesiologist and surgeon should collaborate and plan the best perioperative strategy to provide optimal care and ensure a rapid and complete recovery. The use of high thoracic epidural analgesia and fast-track anesthesia offers particular benefits in beating heart surgery. The excellent analgesia, the ability to reduce myocardial oxygen consumption, and the good hemodynamic stability make high thoracic epidural analgesia an interesting technique. New scenarios are entering in cardiac anesthesia: ultra-fast-track anesthesia with extubation in the operating room and awake surgery tend to be less invasive, but can only be performed on selected patients. Off-pump coronary artery bypass (OPCAB) surgery was first performed in 1967  but only recently has been used in a more widespread way. Potential benefits of avoiding cardiopulmonary bypass (CPB) consist in reducing postoperative complications, such as generalized systemic inflammation,  atrial fibrillation,  bleeding,  kidney dysfunction, , and cerebral injury. However, the usefulness of this technique is still controversial; long-term graft patency rates have shown to be better after on-pump coronary artery bypass grafting. , On the other hand, OPCAB has demonstrated to produce better outcome in high-risk patients. The specific positioning of the heart during OPCAB can produce hemodynamic instability which anesthesiologists are required to deal with. The key to hemodynamic management is good communication between surgeon and anesthesiologist. The choice of anesthetic technique may also influence the outcome of the patient; fast-track anesthesia in OPCAB surgery has produced excellent results. The purpose of this review is to focus on the anesthetic assessment and management in OPCAB surgery. The most recent guideline on perioperative blood transfusion and blood conservation identifies patient risk factors for transfusion. The guideline considers OPCAB as a means to decrease that risk: "OPCAB is a reasonable means of blood conservation, provided emergent conversion to on-pump bypass is unlikely either based on surgeon experience or patient characteristics (Level of evidence A)." Other techniques described are: use of drugs that increase preoperative blood volume or decrease postoperative bleeding, correct management of antiplatelet and antithrombotic drugs before surgery, preoperative autologous blood donation, normovolemic hemodilution, and routine use of cell-saving devices. 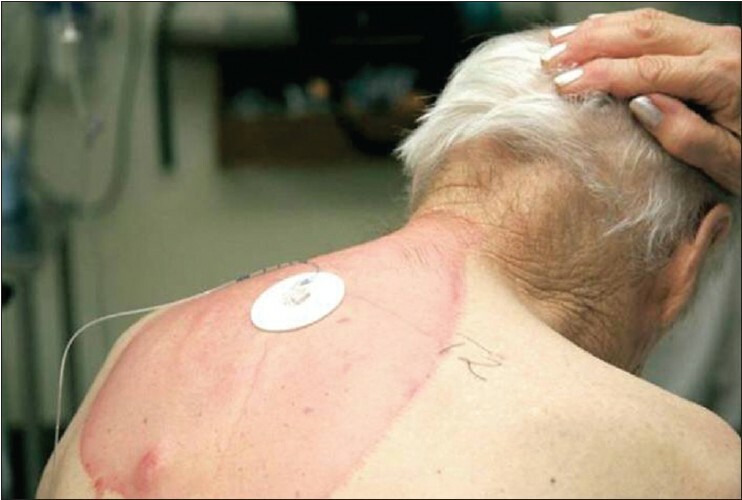 The ECG is a standard diagnostic tool, which becomes of limited use during heart manipulations. In fact, during heart lifting, ECG shows a reduction in amplitude which renders it difficult for anesthesiologists to assess signs of myocardial ischemia [Figure 1]. Invasive arterial blood pressure monitoring is mandatory to evaluate beat to beat changes in the blood pressure. Mixed venous oxygen saturation (SvO 2 ), evaluated using CVC and/or PAC, might be helpful to determine the global tissue oxygenation. Moreover, SvO 2 , partial pressure of carbon dioxide (PaCO 2 ), and central venous pressure (CVP) can be used as proxy measures of changes in jugular bulb oxygen saturation (SjO 2 ). The SjO 2 desaturation is used as a predictor of possible postoperative cognitive dysfunction, due to a lack in global cerebral oxygen balance. However, routine monitoring of SjO 2 is invasive and expensive. A CVP of ≥ 8 mmHg, SvO 2 ≤ 70%, and PaCO 2 ≥ 40 mmHg are associated with jugular bulb desaturation (SjO 2 ≤ 50%) during OPCAB surgery. On the other hand, standard preload indices, such as CVP and pulmonary capillary wedge pressure (PCWP), often fail to provide reliable information about cardiac preload and are not capable of predicting a cardiac response to fluid therapy, ,, particularly during verticalization of the heart. Unnecessary fluid loading could cause adverse clinical outcomes, such as acute heart failure. Stroke volume (SV) and pulse pressure variation (PPV) , or TEE  should be considered in guiding fluid management during OPCAB surgery. During GA, the SV and PPV are influenced by positive pressure mechanical ventilation; SV variations and PPV are greater when the patient is hypovolemic. During chest opening, PPV can decrease even if the hypovolemic condition is not corrected. TEE is the key monitoring technique in modern cardiac surgery. It provides detailed information about left and right ventricular function, regional wall motion, valve(s) functions, and overall cardiac performance. A complete TEE examination should be done at the beginning of the surgery to establish a baseline. TEE allows evaluation of effectiveness of maneuvers such as Trendelenburg position or pleural incision in the management of hypotension. TEE may facilitate the detection of worsening cardiac function as evidenced by weakening of myocardial contraction, ventricular dilatation, or increasing mitral/tricuspid regurgitation during coronary occlusion. New segmental wall motion abnormalities are the most sensitive indicator of intraoperative myocardial ischemia. Routine use of TEE in OPCAB has often lead to change in the planned operative strategy and the intraoperative management and has been shown to reduce morbidity and improve patient outcome. The TEE image quality during coronary artery bypass construction may be impaired by the use of posterior swabs, different positions of the heart, and air in the pericardial cavity. Awake regional anesthesia with spontaneous ventilation using TEA alone. Hemodynamic instability in OPCAB may be due to myocardial ischemia during anastomosis or due to mobilization and stabilization of the heart required for exposing the posterior wall of the heart. Most surgeons approach the left anterior descending coronary artery (LAD) without displacing the heart. In multiple coronary revascularizations involving the circumflex coronary artery and/or the posterior inter-ventricular coronary artery (posterior descending artery), the full exposure of the artery is possible only with the use of stabilization systems that restrict regional wall motion either by suction or by mechanical compression. These procedures require significant mobilization and tilting the heart. Such positioning can lead to reduced SV and arterial blood pressure (ABP), and increases CVP and right ventricle (RV) end-diastolic pressure. A decrease in coronary blood flow of 25-50% is documented. The pathogenesis of hemodynamic changes during heart tilting is the compression of the RV free wall, which is thin and easily deformable, against the interventricular septum [Figure 4];  this leads to a restrictive, impaired diastolic filling ,, associated with an obstruction of the RV outflow tract. , When the heart is tilted and verticalized, normal blood flow from the atria to the ventricles is impaired. The blood has to flow upward into the ventricular cavities. Thus, the atria increase their size and their filling pressure and become larger than the ventricles, contributing to the reduction in cardiac output. Another causative factor which contributes to the hemodynamic instability during heart displacement is the distortion of mitral and tricuspid annuli that leads to a regurgitation flow (most often in already leaky valves), and enlargement of atria and pulmonary veins. Mitral regurgitation, which is clinically associated with falling peripheral oxygen saturation,  could be also a consequence of myocardial ischemia [Figure 5]. Trendelenburg positioning to 20° head down appears to be an efficient technique to improve preload and increase cardiac output. ,, The use of inotropes and/or vasopressor like dopamine, epinephrine, or norepinephrine, associated with an adequate and cautious fluid management is helpful. , An α-adrenergic agent, such as phenylephrine, is indicated when mean arterial pressure (MAP) remains low due to reduction of peripheral resistances in order to avoid large fluid administration. If hypotension persists, ischemia should be investigated using ST segment changes on the ECG or with TEE evaluating the presence of new wall motion abnormality (RWMA). In fact, when the heart is displaced, the ECG frequently shows low voltages, which do not provide useful information regarding myocardial ischemia. The stabilizer itself may induce regional defects in TEE scans. Some surgical procedures may be useful to stabilize the patient's hemodynamic state including pleuropericardial incision, which decreases abnormal wall motion of the RV and the kinking of veins, or simply heart repositioning. , When severe hemodynamic instability is expected as in case of OPCAB in high-risk patients, the placement of an intra-aortic balloon pump (IABP) should be considered. , Elective IABP use in high-risk patients has shown to provide hemodynamic stability without additional inotropic support during the dislocation of the heart. Conversion to CPB is mandatory when profound unresponsive hypotension, malignant arrhythmias, new extensive regional wall motion abnormalities, or complete cardiovascular collapse occur. , Conversion to CPB has been shown to increase morbidity and mortality with operative mortality ranging from 8.5 to 18%. ,, Congestive heart failure, , redo surgery,  low ejection fraction, recent myocardial infarction,  mitral regurgitation, and chronic obstructive pulmonary disease  have been reported as independent predictors of emergency conversion to CPB. The majority of patients can be considered for early extubation unless their intraoperative or postoperative course suggests otherwise. ,,, Ultra-fast-track anesthesia with immediate patient extubation in OPCAB appears feasible and most probably safe. Immediate extubation may reduce nurse dependency, prevent airway and lung trauma, improve cardiac output by spontaneous breathing, and decrease patient stress. ,, Immediate extubation requires a stable, warm, normovolemic, pain-free and alert patient at the end of surgery; neuromuscular blockade should be reversed. It is imperative to include preoperative, intraoperative, and postoperative predictors as essential components of risk assessment to determine the feasibility of extubation in the operating room. , Immediate extubation can be part of a resource management system, which might include the possibility of sending the patient in the ICU, intermediate care unit, or directly to the ward. New models for postoperative cardiac care setting have been proposed with interesting prospects. 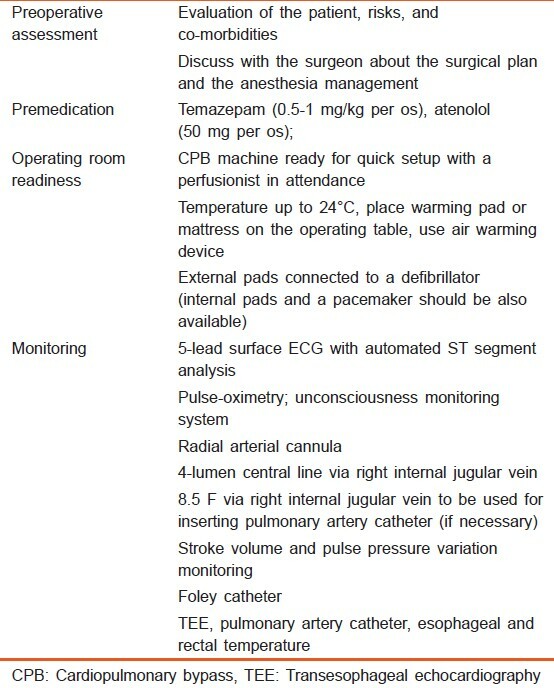 [Table 2] summarizes an anesthetic protocol during OPCAB. OPCAB surgery presents special challenges and difficulties, which require collaboration between all health care staff and acquisition of specific knowledge. Anesthesiologists play an important role in the perioperative and postoperative management of patients. The use of anesthetic techniques which enable fast-track and ultra fast-track pathways is recommended. Finally, we would like to present a case scenario as an example of management of a patient undergoing OPCAB surgery. A 64-year-old man with 3-vessel coronary artery disease is scheduled for OPCAB of LAD, left circumflex artery, and posterior descending artery. The patient is interviewed 2 days before surgery by an attending anesthesiologist. The history is remarkable for significant chronic pulmonary disease and hypertension. The patient has no allergies, no previous surgeries, and uses several bronchodilatatory inhalers on a daily basis, as well as a β-blocking agent. His respiratory function is reduced to 50% of the normal values; within the restrictions of his pulmonary disease, his cardiac functional status is satisfactory, his left ventricular ejection fraction is normal. The LAD will be grafted using the left internal mammary artery, whereas all other grafts will be venous grafts taken from the left leg. The surgical team consists of two surgeons with more than 20 years of experience in OPCAB. During the preoperative visit, the anesthesiologist mentions the possibility of using TEA for intra- and postoperative pain control as well as immediate extubation. Ultra-fast-track anesthesia has been practiced in that center for more than 5 years. There exists necessary infrastructure in specfically trained nursing personnel as well as rapid access to magnetic resonance imaging (MRI) facilities. The anesthesiologist explains the risk of TEA in cardiac surgery, estimating the risk of epidural hematoma as 1:12,000, comparing it to the risk in obstetric anesthesia. The anesthesiologist makes sure not only that the patient understands the risk, but also that continuous neurological supervision will occur during the time of the hospital stay of the patient. The anesthesiologist explains the possible scenario of an epidural hematoma, including possible MRI and neurosurgical intervention. The anesthesiologist points out the specific advantages for this patient with significant chronic obstructive pulmonary disease. He also offers the possibility of immediate extubation. The patient consents for both TEA and immediate extubation. On the day before surgery, a high thoracic epidural catheter is inserted at T3-4 with the intent to cover T1-T8; great care is taken to avoid any vascular damage, TEA is tested with 3 ml of lidocaine 2% with epinephrine 1:200,000. There is no bloody tap and the TEA test reveals good efficacy. On the day of surgery, the patient is admitted to the operating room. A large-bore peripheral venous access (14-G) is obtained in the left hand. Under local anesthesia, an indwelling arterial catheter is inserted in the left femoral artery. The epidural catheter is again tested to rule out inadvertent intravascular placement and for functionality. Bispectral index monitoring is applied in order to allow a BIS-titrated anesthesia induction. After applying routine monitoring - 5-lead ECG, arterial pressure and pulse oximetry, anesthesia is induced with fentanyl 8 μg/kg, given slowly. Two minutes later, hypnosis is induced using propofol 1 mg/kg, and additional 0.5 mg/kg is given to achieve a BIS target below 60. Thereafter, rocuronium 0.6 mg/kg is injected. Neuromuscular monitoring at the corrugator supercilii muscle is used to assess full relaxation of the vocal cords. Once adequate muscle relaxation is ensured, endotracheal intubation is performed. A right internal jugular central venous catheter is inserted. Anesthesia is maintained using sevoflurane in oxygen/air (50%) titrated to maintain a BIS of 45 and lungs are ventilated intermittently to normocapnea. At the beginning of skin desinfection, 8 ml of bupivacaine 0.5% is injected into the thoracic epidural space, followed by a continuous infusion of bupivacaine 0.1% at 10 ml/h. The Local Anesthetic (LA) bolus is timed so that the peak effect concides with the skin incision and sternotomy. A TEE probe is inserted for continuous hemodynamic monitoring. The temperature in the operating room is maintained at 22°C; after saphenous vein harvesting, a lower body warming blanket is applied. Surgery unfolds without problem. At the end of surgery, the hemodynamic status of the patient is stable, without inotropic support, the urinary temperature probe shows normal body temperature, the PO 2 is at 120 mmHg at 50% oxygen with an otherwise normal blood gas analysis. After the wound dressing is applied, emergence from anesthesia occurs at BIS levels above 65: Before extubation, the anesthesiologist makes sure that neuromuscular transmission at the adductor pollicis muscle is normal and the patient obeys commands. An awake and alert patient is then extubated in the operating room and transferred to the ICU for further observation. It should be noted here that a well-informed patient, TEA, an experienced OPCAB surgical and anesthetic team, an infrastructure for ultra-fast-track anesthesia, and 24 h availability for MRI are the key requirements for ultra-fast-tracking in OPCAB surgery. 1. Kolessov VI. Mammary artery-coronary artery anastomosis as method of treatment for angina pectoris. J Thorac Cardiovasc Surg 1967;54:535-44. 2. Sellke FW, Chu LM, Cohn WE. Current state of surgical myocardial revascularization. Circ J 2010;74:1031-7. 3. Levy JH, Tanaka KA. Inflammatory response to cardiopulmonary bypass. Ann Thorac Surg 2003;75:S715-20. 4. Møller CH, Penninga L, Wetterslev J, Steinbrüchel DA, Gluud C. Clinical outcomes in randomized trials of off- vs. on-pump coronary artery bypass surgery: Systematic review with meta-analyses and trial sequential analyses. Eur Heart J 2008;29:2601-16. 5. Nuttall GA, Erchul DT, Haight TJ, Ringhofer SN, Miller TL, Oliver WC Jr, et al. A comparison of bleeding and transfusion in patients who undergo coronary artery bypass grafting via sternotomy with and without cardiopulmonary bypass. J Cardiothorac Vasc Anesth 2003;17:447-51. 6. Nigwekar SU, Kandula P, Hix JK, Thakar CV. Off-pump coronary artery bypass surgery and acute kidney injury: A meta-analysis of randomized and observational studies. Am J Kidney Dis 2009;54:413-23. 7. Abu-Omar Y, Taggart DP. The present status of off-pump coronary artery bypass grafting. Eur J Cardiothorac Surg 2009;36:312-21. 8. Kuss O, von Salviati B, Börgermann J. Off-pump versus on-pump coronary artery bypass grafting: A systematic review and meta-analysis of propensity score analyses. J Thorac Cardiovasc Surg 2010;140:829-35. 9. Hu S, Zheng Z, Yuan X, Wang W, Song Y, Sun H, et al. Increasing long-term major vascular events and resource consumption in patients receiving off-pump coronary artery bypass: A single-center prospective observational study. Circulation 2010;121:1800-08. 10. Khan NE, De Souza A, Mister R, Flather M, Clague J, Davies S, et al. A randomized comparison of off-pump and on-pump multivessel coronary-artery bypass surgery. N Engl J Med 2004;350:21-8. 11. Ascione R, Angelini GD. OPCAB Surgery: A Voyage of Discovery Back to the Future. Eur Heart J 2003;24:121-124. 12. Myles PS, Daly DJ, Djaiani G, Lee A, Cheng DCH. A systematic review of the safety and effectiveness of fast-track cardiac anesthesia. Anesthesiology 2003;99:982-7. 13. Cornelissen H, Arrowsmith JE. Preoperative assessment for cardiac surgery. Contin Educ Anaesth Crit Care Pain 2006;6:109-13. 14. Shanewise JS, Ramsay JG. Off-pump coronary surgery: How do the anesthetic considerations differ? Anesthesiol Clin North Am 2003;21:613-23. 15. Parsonnet V, Dean D, Bernstein AD. A method of uniform stratification of risk for evaluating the results of surgery in acquired adult heart disease. Circulation 1989;79:I3-12. 16. Nashef SaM, Roques F, Michel P, Gauducheau E, Lemeshow S, Salamon R. European system for cardiac operative risk evaluation (EuroSCORE). Eur J Cardiothorac Surg 1999;16:9-13. 17. Ferraris VA, Ferraris SP, Saha SP, Hessel EA II, Haan CK, Royston BD, et al. Perioperative blood transfusion and blood conservation in cardiac surgery: The Society of Thoracic Surgeons and The Society of Cardiovascular Anesthesiologists clinical practice guideline. Ann Thorac Surg 2007;83:S27-86. 18. Moonesinghe SR, Kelleher AA. Preoperative assessment for cardiac surgery. Anaesth Intensive Care Med 2006;7:267-70. 19. Michelsen LG, Horswell J. Anesthesia for off-pump coronary artery bypass grafting. Semin Thorac Cardiovasc Surg 2003;15:71-82. 20. Miura N, Yoshitani K, Kawaguchi M, Shinzawa M, Irie T, Uchida O, et al. Jugular bulb desaturation during off-pump coronary artery bypass surgery. J Anesth 2009;23:477-82. 21. Kumar A, Anel R, Bunnell E, Habet K, Zanotti S, Marshall S, et al. Pulmonary artery occlusion pressure and central venous pressure fail to predict ventricular filling volume, cardiac performance, or the response to volume infusion in normal subjects. Crit Care Med 2004;32:691-9. 22. Osman D, Ridel C, Ray P, Monnet X, Anguel N, Richard C, et al. Cardiac filling pressures are not appropriate to predict hemodynamic response to volume challenge. Crit Care Med 2007;35:64-8. 23. Michard F, Teboul JL. Predicting fluid responsiveness in ICU patients: A critical analysis of the evidence. Chest 2002;121:2000-8. 24. Chassot PG, van der Linden P, Zaugg M, Mueller XM, Spahn DR. Off-pump coronary artery bypass surgery: Physiology and anaesthetic management. Br J Anaesth 2004;92:400-13. 25. Preisman S, Kogan S, Berkenstadt H, Perel A. Predicting fluid responsiveness in patients undergoing cardiac surgery: Functional haemodynamic parameters including the respiratory systolic variation test and static preload indicators. Br J Anaesth 2005;95:746-55. 26. Hofer CK, Müller SM, Furrer L, Klaghofer R, Genoni M, Zollinger A. Stroke volume and pulse pressure variation for prediction of fluid responsiveness in patients undergoing off-pump coronary artery bypass grafting. Chest 2005;128:848-54. 27. Lee JH, Jeon Y, Bahk JH, Gil NS, Kim KB, Hong DM, et al. Pulse-pressure variation predicts fluid responsiveness during heart displacement for off-pump coronary artery bypass surgery. J Cardiothorac Vasc Anesth 2011;25:1056-62. 28. Gurbuz AT, Hecht ML, Arslan AH. Intraoperative transesophagial echocardiography modifies strategy in off-pump coronary artery bypass grafting. Ann Thorac Surg 2007;83:1035-40. 29. Kapoor PM, Chowdhury U, Mandal B, Kiran U, Karnatak R. Trans-esophageal echocardiography in off-pump coronary artery bypass grafting. Ann Card Anaesth 2009;12:167. 30. Comunale ME, Body SC, Ley C, Koch C, Roach G, Mathew JP, et al. The concordance of intraoperative left ventricular wall-motion abnormalities and electrocardiographic S-T segment changes: Association with outcome after coronary revascularization. Multicenter Study of Perioperative Ischemia (McSPI) Research Group. Anesthesiology 1998;88:945-54. 31. Koster A. OPCAB: Which kind of anticoagulation? Eur J Anaesthesiol 2007;24:77-82. 32. Mariani MA, Gu YJ, Boonstra PW, Grandjean JG, van Oeveren W, Ebels T. Procoagulant activity after off-pump coronary operation: Is the current anticoagulation adequate? Ann Thorac Surg 1999;67:1370-5. 33. Yachi T, Watanabe G, Tomita S. Activation of coagulation and fibrinolysis after off-pump coronary artery bypass grafting with or without endotracheal general anesthesia. Ann Surg 2010;5:444-9. 34. Hett DA. Anaesthesia for off-pump coronary artery surgery. Contin Educ Anaesth Crit Care Pain 2006;6:60-2. 35. Westaby S, Pillai R, Parry A, O'Regan D, Giannopoulos N, Grebenik K, et al. Does modern cardiac surgery require conventional intensive care? Eur J Cardiothorac Surg 1993;7:313-8. 36. White PF, Kehlet H, Neal JM, Schricker T, Carr DB, Carli F. The role of the anesthesiologist in fast-track surgery: From multimodal analgesia to perioperative medical care. Anesth Analg 2007;104:1380-96. 37. Cheng DC. Fast-track cardiac surgery: Economic implications in postoperative care. J Cardiothorac Vasc Anesth 1998;12:72-9. 38. Cheng DC, Karski J, Peniston C, Raveendran G, Asokumar B, Carroll J, et al. Early tracheal extubation after coronary artery bypass graft surgery reduces costs and improves resource use. A prospective, randomized, controlled trial. Anesthesiology 1996;85:1300-10. 39. Svircevic V, Nierich AP, Moons KG, Brandon Bravo Bruinsma GJ, Kalkman CJ, van Dijk D. Fast-track anesthesia and cardiac surgery: A retrospective cohort study of 7989 patients. Anesth Analg 2009;108:727-33. 40. Flynn M, Reddy S, Shepherd W, Holmes C, Armstrong D, Lunn C, et al. Fast-tracking revisited: Routine cardiac surgical patients need minimal intensive care. Eur J Cardiothorac Surg 2004;25:116-22. 41. Carli F, Kehlet H, Baldini G, Steel A, McRae K, Slinger P, et al. Evidence basis for regional anesthesia in multidisciplinary fast-track surgical care pathways. Reg Anesth Pain Med 2011;36:63-72. 42. Silbert BS, Myles PS. Is fast-track cardiac anesthesia now the global standard of care? Anesth Analg 2009;108:689-91. 43. Zaugg M, Lucchinetti E, Garcia C, Pasch T, Spahn DR, Schaub MC. Anaesthetics and cardiac preconditioning. Part II. Clinical implications. Br J Anaesth 2003;91:566-76. 44. Conzen PF, Fischer S, Detter C, Peter K. Sevoflurane provides greater protection of the myocardium than propofol in patients undergoing off-pump coronary artery bypass surgery. Anesthesiology 2003;99:826-33. 45. De Hert SG, ten Broecke PW, Mertens E, Van Sommeren EW, De Blier IG, Stockman BA, et al. Sevoflurane but not propofol preserves myocardial function in coronary surgery patients. Anesthesiology 2002;97:42-9. 46. Murphy GS, Szokol JW, Marymont JH, Vender JS, Avram MJ, Rosengart TK, et al. Recovery of neuromuscular function after cardiac surgery: Pancuronium versus rocuronium. Anesth Analg 2003;96:1301-7. 47. McEwin L, Merrick PM, Bevan DR. Residual neuromuscular blockade after cardiac surgery: Pancuronium vs rocuronium. Can J Anaesth 1997;44:891-5. 48. Hemmerling TM, Russo G, Bracco D. Neuromuscular blockade in cardiac surgery: An update for clinicians. Ann Card Anaesth 2008;11:80-90. 49. Bovill JG, Sebel PS, Stanley TH. Opioid analgesics in anesthesia: With special reference to their use in cardiovascular anesthesia. Anesthesiology 1984;61:731-55. 50. Yukioka H, Tanaka M, Fujimori M. Recovery of bowel motility after high dose fentanyl or morphine anaesthesia for cardiac surgery. Anaesthesia 1990;45:353-6. 51. Engoren M, Luther G, Fenn-Buderer N. A comparison of fentanyl, sufentanil, and remifentanil for fast-track cardiac anesthesia. Anesth Analg 2001;93:859-64. 52. Lison S, Schill M, Conzen P. Fast-track cardiac anesthesia: Efficacy and safety of remifentanil versus sufentanil. J Cardiothorac Vasc Anesth 2007;21:35-40. 53. Myles PS, Hunt JO, Fletcher H, Watts J, Bain D, Silvers A, et al. Remifentanil, fentanyl, and cardiac surgery: A double-blinded, randomized, controlled trial of costs and outcomes. Anesth Analg 2002;95:805-12. 54. Reddy P, Feret BM, Kulicki L, Donahue S, Quercia RA. Cost analysis of fentanyl and remifentanil in coronary artery bypass graft surgery without cardiopulmonary bypass. J Clin Pharm Ther 2002;27:127-32. 55. Rauf K, Vohra A, Fernandez-Jimenez P, O'Keeffe N, Forrest M. Remifentanil infusion in association with fentanyl-propofol anaesthesia in patients undergoing cardiac surgery: Effects on morphine requirement and postoperative analgesia. Br J Anaesth 2005;95:611-5. 56. Steinlechner B, Koinig H, Grubhofer G, Ponschab M, Eislmeir S, Dworschak M, et al. Postoperative analgesia with remifentanil in patients undergoing cardiac surgery. Anesth Analg 2005;100:1230-5. 57. Horswell JL, Mack MJ, Bachand DA, Michelsen L, Worley T. Use of dexmedetomidine as an adjunct to pain control following OPCAB: A randomized, double-blind study. Anesthesiology 2002;96:A938. 58. Okawa H, Ono T, Hashiba E, Tsubo T, Ishihara H, Hirota K. Decreased postoperative nausea and vomiting with dexmedetomidine after off-pump coronary artery bypass grafting. Crit Care 2011;15:P351. 59. Mohamed K. The impact of dexmedetomidine infusion in sparing morphine consumption in off pump coronary artery bypass grafting. J Anesth Clin Res 2012 [In press]. 60. Mansour E. Bis-guided evaluation of dexmedetomidine vs. midazolam as anaesthetic adjuncts in off-pump coronary artery bypass surgery (OPCAB). Saudi J Anaesth 2009;3:7. 61. Kessler P, Aybek T, Neidhart G, Dogan S, Lischke V, Bremerich DH, et al. Comparison of three anesthetic techniques for off-pump coronary artery bypass grafting: General anesthesia, combined general and high thoracic epidural anesthesia, or high thoracic epidural anesthesia alone. J Cardiothorac Vasc Anesth 2005;19:32-9. 62. Caputo M, Alwair H, Rogers CA, Pike K, Cohen A, Monk C, et al. Thoracic epidural anesthesia improves early outcomes in patients undergoing off-pump coronary artery bypass surgery: A prospective, randomized, controlled trial. Anesthesiology 2011;114:380-90. 63. Bracco D, Noiseux N, Dubois MJ, Prieto I, Basile F, Olivier JF, et al. Epidural anesthesia improves outcome and resource use in cardiac surgery: A single-center study of a 1293-patient cohort. Heart Surg. Forum 2007;10:E449-58. 64. Scott NB, Turfrey DJ, Ray DA, Nzewi O, Sutcliffe NP, Lal AB, et al. A prospective randomized study of the potential benefits of thoracic epidural anesthesia and analgesia in patients undergoing coronary artery bypass grafting. Anesth Analg 2001;93:528-35. 65. Gottschalk A, Cohen SP, Yang S, Ochroch EA. Preventing and treating pain after thoracic surgery. Anesthesiology 2006;104:594-600. 66. Waurick R, Van Aken H. Update in thoracic epidural anaesthesia. Best Pract Res Clin Anaesthesiol 2005;19:201-13. 67. Priestley MC, Cope L, Halliwell R, Gibson P, Chard RB, Skinner M, et al. Thoracic epidural anesthesia for cardiac surgery: The effects on tracheal intubation time and length of hospital stay. Anesth Analg 2002;94:275-282. 68. Hemmerling TM. Technical aspects of high thoracic epidural analgesia in cardiac surgery. Tech Reg Anesth Pain Manage 2008;12:46-53. 69. Blomberg S, Emanuelsson H, Kvist H, Lamm C, Pontén J, Waagstein F, et al. Effects of thoracic epidural anesthesia on coronary arteries and arterioles in patients with coronary artery disease. Anesthesiology 1990;73:840-7. 70. Kirnö K, Friberg P, Grzegorczyk A, Milocco I, Ricksten SE, Lundin S. Thoracic epidural anesthesia during coronary artery bypass surgery: Effects on cardiac sympathetic activity, myocardial blood flow and metabolism, and central hemodynamics. Anesth Analg 1994;79:1075-81. 71. Loick HM, Schmidt C, Van Aken H, Junker R, Erren M, Berendes E, et al. High thoracic epidural anesthesia, but not clonidine, attenuates the perioperative stress response via sympatholysis and reduces the release of troponin T in patients undergoing coronary artery bypass grafting. Anesth Analg 1999;88:701-9. 72. Stenseth R, Bjella L, Berg EM, Christensen O, Levang OW, Gisvold SE. Effects of thoracic epidural analgesia on pulmonary function after coronary artery bypass surgery. Eur J Cardiothorac Surg 1996;10:859-65. 73. Blomberg S, Emanuelsson H, Ricksten SE. Thoracic epidural anesthesia and central hemodynamics in patients with unstable angina pectoris. Anesth Analg 1989;69:558-62. 74. Bracco D, Hemmerling TM. Thoracic epidural analgesia in cardiac surgery: Impact on postoperative morbidity. Techn Reg Anesth Pain Manage 2008;12:32-40. 75. Bakhtiary F, Therapidis P, Dzemali O, Ak K, Ackermann H, Meininger D, et al. Impact of high thoracic epidural anesthesia on incidence of perioperative atrial fibrillation in off-pump coronary bypass grafting: A prospective randomized study. J Thorac Cardiovasc Surg 2007;134:460-4. 76. Hemmerling TM, Djaiani G, Babb P, Williams JP. The use of epidural analgesia in cardiac surgery should be encouraged. Anesth Analg 2006;103:1592-3. 77. Royse CF, Soeding PF, Royse AG. High thoracic epidural analgesia for cardiac surgery: An audit of 874 cases. Anaesth Intensive Care 2007;35:374-7. 78. Horlocker TT, Wedel DJ, Rowlingson JC, Enneking FK, Kopp SL, Benzon HT, et al. Regional anesthesia in the patient receiving antithrombotic or thrombolytic therapy: American Society of Regional Anesthesia and Pain Medicine Evidence-Based Guidelines (Third Edition). Reg Anesth Pain Med 2010;35:64-101. 79. Metz S, Schwann N, Hassanein W, Yuskevich B, Nixon T. Intrathecal morphine for off-pump coronary artery bypass grafting. J Cardiothorac Vasc Anesth 2004;18:451-3. 80. Mehta Y, Kulkarni V, Juneja R, Sharma KK, Mishra Y, Raizada A, et al. Spinal (subarachnoid) morphine for off-pump coronary artery bypass surgery. Heart Surg Forum 2004;7:E205-10. 81. Turker G, Goren S, Sahin S, Korfali G, Sayan E. Combination of intrathecal morphine and remifentanil infusion for fast-track anesthesia in off-pump coronary artery bypass surgery. J Cardiothorac Vasc Anesth 2005;19:708-13. 82. Zisman E, Shenderey A, Ammar R, Eden A, Pizov R. The effects of intrathecal morphine on patients undergoing minimally invasive direct coronary artery bypass surgery. J Cardiothorac Vasc Anesth 2005;19:40-3. 83. 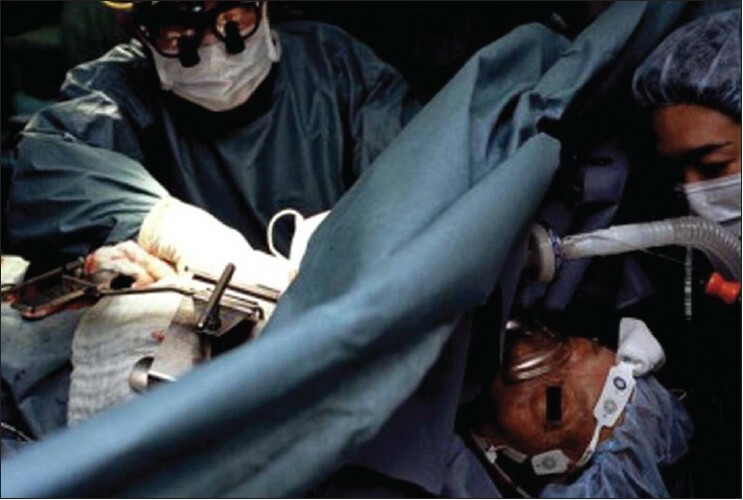 Watanabe G, Tomita S, Yamaguchi S, Yashiki N. Awake coronary artery bypass grafting under thoracic epidural anesthesia: Great impact on off-pump coronary revascularization and fast-track recovery. Eur J Cardiothorac Surg 2011;40:788-93. 84. Hemmerling TM, Noiseux N, Basile F, Noël MF, Prieto I. Awake cardiac surgery using a novel anesthetic technique. Can J Anaesth 2005;52:1088-92. 85. Lucchetti V, Moscariello C, Catapano D, Angelini GD. Coronary artery bypass grafting in the awake patient: Combined thoracic epidural and lumbar subarachnoid block. Eur J Cardiothorac Surg 2004;26:658-9. 86. Aybek T, Kessler P, Khan MF, Dogan S, Neidhart G, Moritz A, et al. Operative techniques in awake coronary artery bypass grafting. J Thorac Cardiovasc Surg 2003;125:1394-400. 87. Karagoz HY, Kurtoglu M, Bakkaloglu B, Sonmez B, Cetintas T, Bayazit K. Coronary artery bypass grafting in the awake patient: Three years' experience in 137 patients. J Thorac Cardiovasc Surg 2003;125:1401-4. 88. Chakravarthy M, Jawali V, Manohar M, Patil T, Jayaprakash K, Kolar S, et al. Conscious off pump coronary artery bypass surgery-an audit of our first 151 cases. Ann Thorac Cardiovasc Surg 2005;11:93-7. 89. Aybek T, Kessler P, Dogan S, Neidhart G, Khan MF, Wimmer-Greinecker G, et al. Awake coronary artery bypass grafting: Utopia or reality? Ann Thorac Surg 2003;75:1165-70. 90. Noiseux N, Prieto I, Bracco D, Basile F, Hemmerling T. Coronary artery bypass grafting in the awake patient combining high thoracic epidural and femoral nerve block: First series of 15 patients. Br J Anaesth 2008;100:184-9. 91. Chakravarthy M, Jawali V, Patil TA, Jayaprakash K, Shivananda NV. High thoracic epidural anesthesia as the sole anesthetic for performing multiple grafts in off-pump coronary artery bypass surgery. J Cardiothorac Vasc Anesth 2003;17:160-4. 92. Jeong SM, Hahm KD, Jeong YB, Yang HS, Choi IC. Warming of intravenous fluids prevents hypothermia during off-pump coronary artery bypass graft surgery. J Cardiothorac Vasc Anesth 2008;22:67-70. 93. Sessler DI. Complications and treatment of mild hypothermia. Anesthesiology 2001;95:531-43. 94. Hofer CK, Worn M, Tavakoli R, Sander L, Maloigne M, Klaghofer R, et al. Influence of body core temperature on blood loss and transfusion requirements during off-pump coronary artery bypass grafting: A comparison of 3 warming systems. J Thorac Cardiovasc Surg 2005;129:838-43. 95. Couture P, Denault A, Limoges P, Sheridan P, Babin D, Cartier R. Mechanisms of hemodynamic changes during off-pump coronary artery bypass surgery. Can J Anaesth 2002;49:835-49. 96. Do QB, Goyer C, Chavanon O, Couture P, Denault A, Cartier R. Hemodynamic changes during off-pump CABG surgery. Eur J Cardiothorac Surg 2002;21:385-90. 97. Porat E, Sharony R, Ivry S, Ozaki S, Meyns BP, Flameng WJ, et al. Hemodynamic changes and right heart support during vertical displacement of the beating heart. Ann Thorac Surg 2000;69:1188-91. 98. Gründeman PF, Borst C, van Herwaarden JA, Verlaan CW, Jansen EW. Vertical displacement of the beating heart by the octopus tissue stabilizer: Influence on coronary flow. Ann Thorac Surg 1998;65:1348-52. 99. Gründeman PF, Borst C, Verlaan CW, Meijburg H, Mouës CM, Jansen EW. Exposure of circumflex branches in the tilted, beating porcine heart: Echocardiographic evidence of right ventricular deformation and the effect of right or left heart bypass. J Thorac Cardiovasc Surg 1999;118:316-23. 100. Kwak YL, Oh YJ, Jung SM, Yoo KJ, Lee JH, Hong YW. 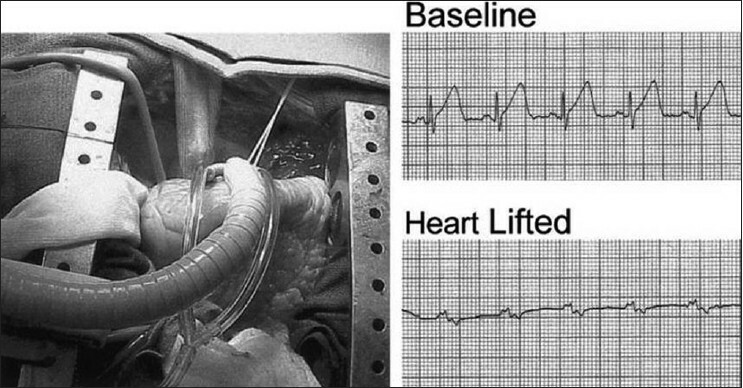 Change in right ventricular function during off-pump coronary artery bypass graft surgery. Eur J Cardiothorac Surg 2004;25:572-7. 101. Mathison M, Edgerton JR, Horswell JL, Akin JJ, Mack MJ. Analysis of hemodynamic changes during beating heart surgical procedures. Ann Thorac Surg 2000;70:1355-60 discussion 1360-1. 102. Nierich AP, Diephuis J, Jansen EW, Borst C, Knape JT. Heart displacement during off-pump CABG: How well is it tolerated? Ann Thorac Surg 2000;70:1355-61. 103. 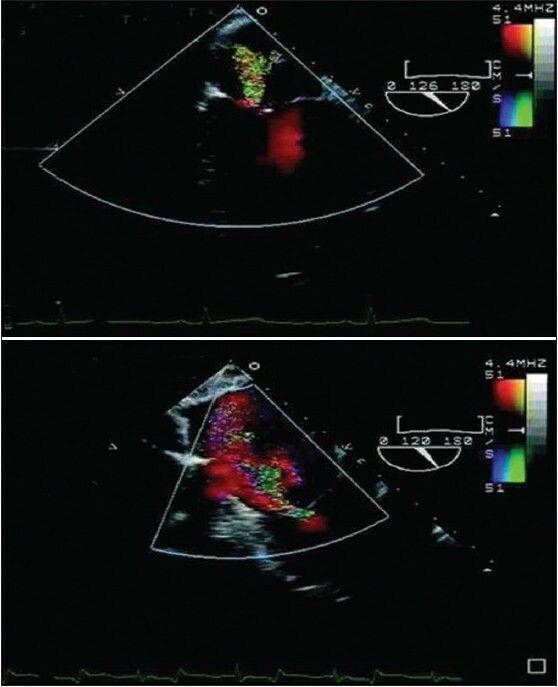 George SJ, Al-Ruzzeh S, Amrani M. Mitral annulus distortion during beating heart surgery: A potential cause for hemodynamic disturbance-a three-dimensional echocardiography reconstruction study. Ann Thorac Surg 2002;73:1424-30. 104. Alston RP. Anaesthesia for off-pump coronary artery bypass grafting surgery. Anaesth Intensive Care Med 2009;10:421-3. 105. Tabata M, Takanashi S, Horai T, Fukui T, Hosoda Y. Emergency conversion in off-pump coronary artery bypass grafting. Interact Cardiovasc Thorac Surg 2006;5:555-9. 106. Gründeman PF, Borst C, van Herwaarden JA, Mansvelt Beck HJ, Jansen EW. 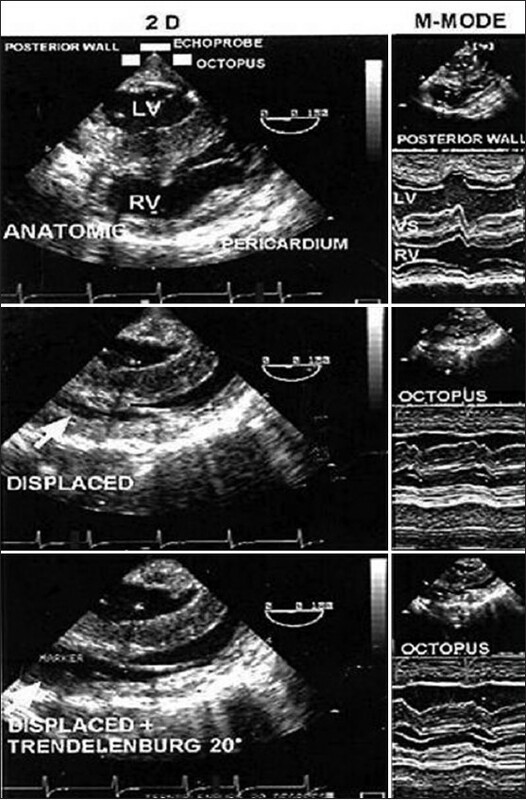 Hemodynamic changes during displacement of the beating heart by the Utrecht Octopus method. Ann Thorac Surg 1997;63:S88-92. 107. Jansen EW, Gründeman PF, Mansvelt Beck HJ, Heijmen RH, Borst C. Experimental off-pump grafting of a circumflex branch via sternotomy using a suction device. Ann Thorac Surg 1997;63:S93-6. 108. Nierich AP, Diephuis J, Jansen EW, van Dijk D, Lahpor JR, Borst C, et al. Embracing the heart: Perioperative management of patients undergoing off-pump coronary artery bypass grafting using the octopus tissue stabilizer. J Cardiothorac Vasc Anesth 1999;13:123-9. 109. Vohra HA, Briffa NP. 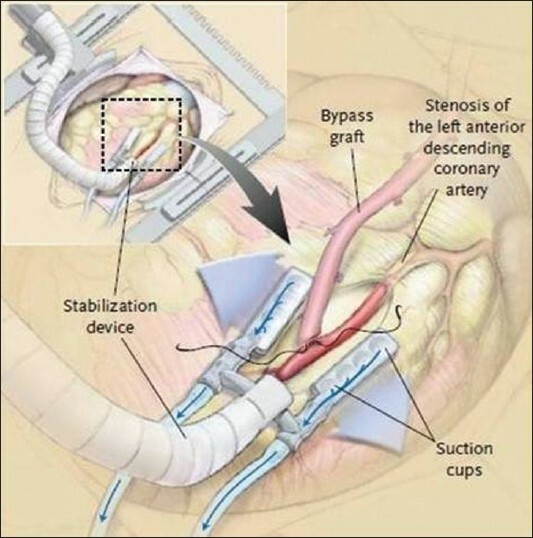 Routine preoperative insertion of IABP in high-risk off-pump coronary artery bypass grafting. Heart Surg Forum 2005;8:E94-5. 110. Kim KB, Lim C, Ahn H, Yang JK. Intraaortic balloon pump therapy facilitates posterior vessel off-pump coronary artery bypass grafting in high-risk patients. Ann Thorac Surg 2001;71:1964-8. 111. Suzuki T, Okabe M, Handa M, Yasuda F, Miyake Y. Usefulness of preoperative intraaortic balloon pump therapy during off-pump coronary artery bypass grafting in high-risk patients. Ann Thorac Surg 2004;77:2056-9. 112. Vassiliades TA Jr, Nielsen JL, Lonquist JL. Hemodynamic collapse during off-pump coronary artery bypass grafting. Ann Thorac Surg 2002;73:1874-9. 113. Patel NC, Patel NU, Loulmet DF, McCabe JC, Subramanian VA. Emergency conversion to cardiopulmonary bypass during attempted off-pump revascularization results in increased morbidity and mortality. J Thorac Cardiovasc Surg 2004;128:655-61. 114. Edgerton JR, Dewey TM, Magee MJ, Herbert MA, Prince SL, Jones KK, et al. Conversion in off-pump coronary artery bypass grafting: An analysis of predictors and outcomes. Ann Thorac Surg 2003;76:1138-42. 115. Légaré J-F, Buth KJ, Hirsch GM. Conversion to on Pump from OPCAB Is Associated with Increased Mortality: Results from a Randomized Controlled Trial. Eur J Cardiothorac Surg 2005;27:296-301. 116. Mishra M, Shrivastava S, Dhar A, Bapna R, Mishra A, Meharwal ZS, et al. A prospective evaluation of hemodynamic instability during off-pump coronary artery bypass surgery. J Cardiothorac Vasc Anesth 2003;17:452-8. 117. Rose EA. Off-Pump Coronary-Artery Bypass Surgery. N Engl J Med 2003;348:379-80. 118. Koh T, Carr-White G, DeSouza A, Ferdinand F, Pepper J, Gibson D. Effect of coronary occlusion on left ventricular function with and without collateral supply during beating heart coronary artery surgery. Heart 1999;81:285-91. 119. Brown PM Jr, Kim VB, Boyer BJ, Lust RM, Chitwood WR Jr. Elbeery JR. Regional left ventricular systolic function in humans during off-pump coronary bypass surgery. Circulation 1999;100:125-7. 120. Tempe D, Virmani S. Anaesthesia for off-pump coronary artery surgery. Ann Card Anaesth 2007;10:65. 121. Lee EH, Lee HM, Chung CH, Chin JH, Choi DK, Chung HJ, et al. Impact of intravenous lidocaine on myocardial injury after off-pump coronary artery surgery. Br J Anaesth 2011;106:487-93. 122. Beþoðul Y, Gemalmaz H, Aslan R. Effects of preoperative magnesium therapy on arrhythmias and myocardial ischemia during off-pump coronary surgery. Ann Thorac Med 2009;4:137-9. 123. Kanchi M, Prasad N, Garg D, Banakal SK. Prophylactic magnesium sulphate vs. lidocaine during off-pump coronary artery bypass grafting. Eur J Anaesthesiol 2004;21:914-5. 124. Koniari I, Apostolakis E, Rogkakou C, Baikoussis NG, Dougenis D. Pharmacologic prophylaxis for atrial fibrillation following cardiac surgery: A systematic review. J Cardiothorac Surg 2010;5:121. 125. Dunning J, Treasure T, Versteegh M, Nashef SAM. Guidelines on the prevention and management of de novo atrial fibrillation after cardiac and thoracic surgery. Eur J Cardiothorac Surg 2006;30:852-72. 126. Zangrillo A, Landoni G, Sparicio D, Pappalardo F, Bove T, Cerchierini E, et al. Perioperative magnesium supplementation to prevent atrial fibrillation after off-pump coronary artery surgery: A randomized controlled study. J Cardiothorac Vasc Anesth 2005;19:723-8. 127. Maslow AD, Regan MM, Heindle S, Panzica P, Cohn WE, Johnson RG. Postoperative atrial tachyarrhythmias in patients undergoing coronary artery bypass graft surgery without cardiopulmonary bypass: A role for intraoperative magnesium supplementation. J Cardiothorac Vasc Anesth 2000;14:524-30. 128. Yeatman M, Caputo M, Narayan P, Ghosh AK, Ascione R, Ryder I, et al. Intracoronary shunts reduce transient intraoperative myocardial dysfunction during off-pump coronary operations. Ann Thorac Surg 2002;73:1411-7. 129. Lucchetti V, Capasso F, Caputo M, Grimaldi G, Capece M, Brando G, et al. Intracoronary shunt prevents left ventricular function impairment during beating heart coronary revascularization. Eur J Cardiothorac Surg 1999;15:255-9. 130. Murry CE, Jennings RB, Reimer KA. Preconditioning with ischemia: A delay of lethal cell injury in ischemic myocardium. Circulation 1986;74:1124-36. 131. Laurikka J, Wu Z-K, Iisalo P, Kaukinen L, Honkonen EL, Kaukinen S, et al. Regional ischemic preconditioning enhances myocardial performance in off-pump coronary artery bypass grafting. Chest 2002;121:1183-9. 132. Wu ZK, Iivainen T, Pehkonen E, Laurikka J, Tarkka MR. Arrhythmias in off-pump coronary artery bypass grafting and the antiarrhythmic effect of regional ischemic preconditioning. J Cardiothorac Vasc Anesth 2003;17:459-64. 133. Moisés VA, Mesquita CB, Campos O, Andrade JL, Bocanegra J, Andrade JC, et al. Importance of intraoperative transesophageal echocardiography during coronary artery surgery without cardiopulmonary bypass. J Am Soc Echocardiogr 1998;11:1139-44. 134. Huss MG, Wasnick JD. Magnesium and off-pump coronary artery bypass. J Cardiothorac Vasc Anesth 1999;13:374-5. 135. Englberger L, Streich M, Tevaearai H, Carrel TP. Different anticoagulation strategies in off-pump coronary artery bypass operations: A European Survey. Interact Cardiovasc Thorac Surg 2008;7:378-82. 136. Wolf RK, Falk V. Intraoperative assessment of coronary artery bypass grafts. J Thorac Cardiovasc Surg 2003;126:634-7. 137. Chong JL, Pillai R, Fisher A, Grebenik C, Sinclair M, Westaby S. Cardiac surgery: Moving away from intensive care. Br Heart J 1992;68:430-3. 138. Wong DT, Cheng DC, Kustra R, Tibshirani R, Karski J, Carroll-Munro J, et al. Risk factors of delayed extubation, prolonged length of stay in the intensive care unit, and mortality in patients undergoing coronary artery bypass graft with fast-track cardiac anesthesia: A new cardiac risk score. Anesthesiology 1999;91:936-44. 139. Djaiani GN, Ali M, Heinrich L, Bruce J, Carroll J, Karski J, et al. Ultra-fast-track anesthetic technique facilitates operating room extubation in patients undergoing off-pump coronary revascularization surgery. J Cardiothorac Vasc Anesth 2001;15:152-7. 140. Horswell JL, Herbert MA, Prince SL, Mack MJ. Routine immediate extubation after off-pump coronary artery bypass surgery: 514 consecutive patients. J Cardiothorac Vasc Anesth 2005;19:282-7. 141. Hemmerling TM, Prieto I, Choinière J-L, Basile F, Fortier JD. Ultra-fast-track anesthesia in off-pump coronary artery bypass grafting: A prospective audit comparing opioid-based anesthesia vs thoracic epidural-based anesthesia. Can J Anaesth 2004;51:163-8. 142. Cheng DC. Routine immediate extubation in the operating room after OPCAB surgery: Benefits for patients, practitioners, or providers? J Cardiothorac Vasc Anesth 2005;19:279-81. 143. Dorsa AG, Rossi AI, Thierer J, Lupiañez B, Vrancic JM, Vaccarino GN, et al. Immediate extubation after off-pump coronary artery bypass graft surgery in 1,196 consecutive patients: Feasibility, safety and predictors of when not to attempt it. J Cardiothorac Vasc Anesth 2011;25:431-6. 144. Noiseux N, Bracco D, Prieto I, Hemmerling TM. Do patients after off-pump coronary artery bypass grafting need the intensive care unit? A prospective audit of 85 patients. Interact Cardiovasc Thorac Surg 2008;7:32-6.